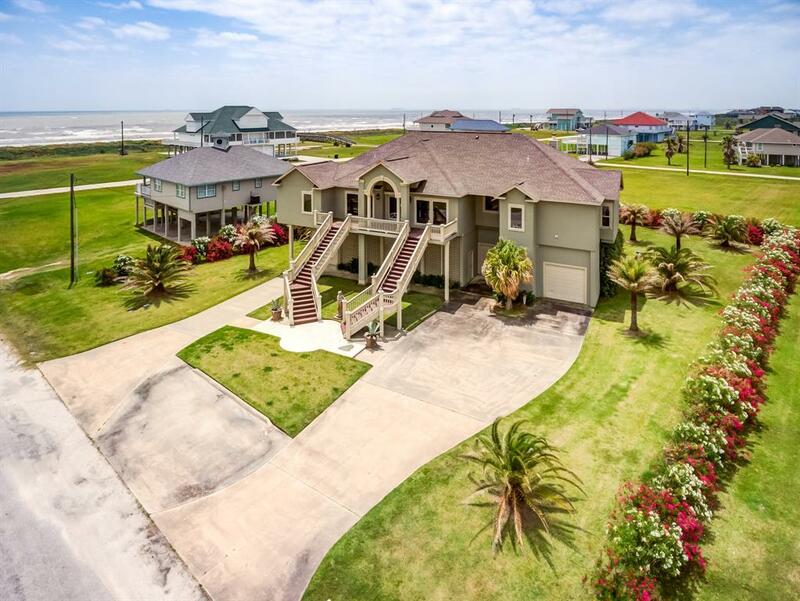 LUXURY beach home with SINGLE FLOOR living space, fireplace, huge deck with protected view of the GULF. 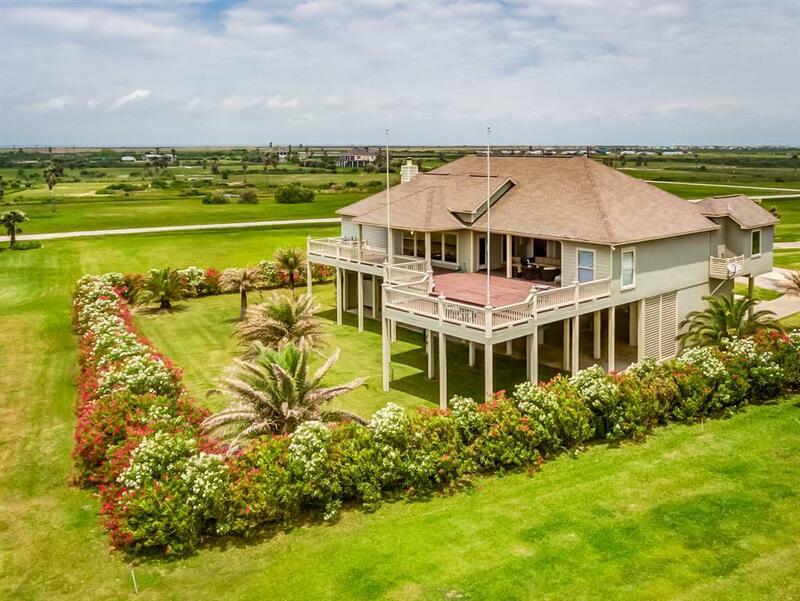 Rancho Carribe is a NON-RENTAL community with PRIVATE BEACH ACCESS and the ONLY GOLF COURSE ON BOLIVAR! 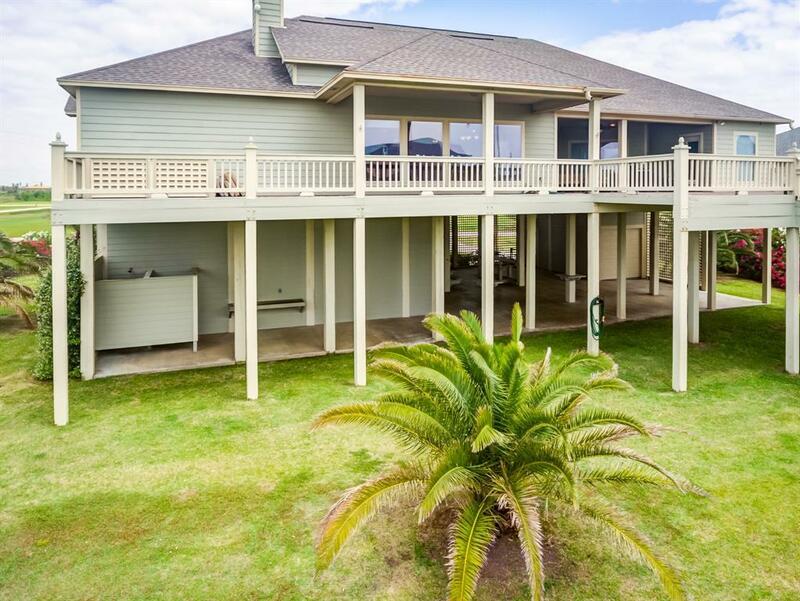 Home features a large MASTER SUITE with huge shower, marble tub and direct access to the deck. Formal dining, breakfast area, bar and large family room. Study is 4th bedroom with built-in cabinets. 2 1/2 baths plus 1/2 bath on ground floor with huge outdoor entertainment space. 3 car garage space for all your BEACH TOYS! Home is prewired for wall mounted TV's and remote security system. 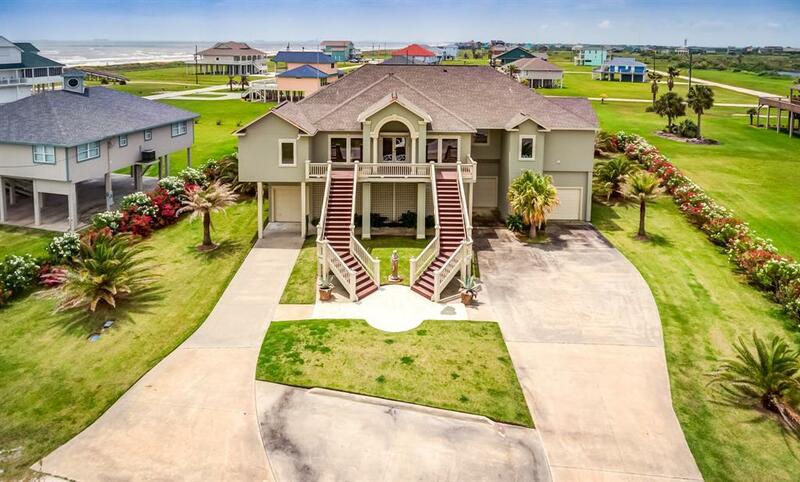 Built in 2006 this is a Hurrican Ike SURVIVOR with living area 21 feet above sea level. Furnishings are negotiable. Seller motivated with drastically reduced price. See the virtual tour or schedule a showing soon!